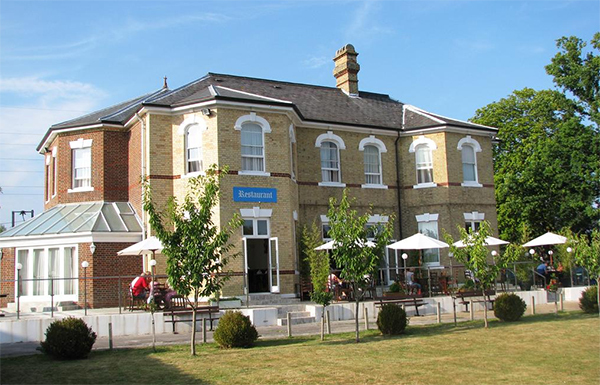 The Copthorne Hotel Gatwick, originally a charming 16th-century country farmhouse is now a 4-star country house-style hotel set in 100 acres of tranquil woodlands and gardens, yet only 10 minutes from Gatwick Airport. The hotel is very easyfor morists to find being just off the next M23 junction going south past the Gatwick Airport turn off. The Copthorne Gatwick Hotel’s health club has a fully equipped gym, squash and tennis courts. Guests can also relax in the steam room, sauna or with a beauty therapy. For the Gatwick hotel and parking deals your vehicle is stored at the hotel itself. The hotel runs an airport shuttle to Gatwick Airport, but on your return a taxi needs to be organised. The Copthorne Gatwick Hotel's health club has a fully equipped gym, squash and tennis courts. Guests can also relax in the steam room, sauna or with a beauty therapy. Car parking is at the hotel. You simply leave your car keys with reception, and fill in a form with your details, then staff will move your car to the secured part of the car park. The bus doesn't run back to the hotel, but you can get a taxi to pick you up and take you there. This was last advised as costing around £11-13 per car. Rooms: at the Copthorne Gatwick feature an en-suite bathroom, a colour TV with satellite, telephone, radio, hairdryer, trouser press, fridge, tea/coffee making facilities and air conditioning. Internet: wi-fi is available in public areas and is free of charge. Wi-fi in the rooms last advised costing £5 for 24 hours. Afternoon tea and light meals are served in the tranquil Library Bar. The White Swan, a traditional Sussex pub, offers tasty rustic meals.